﻿ Where Is Your Mystical Park Bench? Jose often wondered when his life was going to take off. Throughout schooling Jose’s teachers has always given him praise and complements. Jose excelled in sports and was even rewarded a college scholarship. As you can imagine, Jose developed great expectations throughout this period of time. Jose used to daydream of being a successful businessman who made a lot of money and had a lot of power. He was going to be well known and well liked in whatever industry he chose. Jose sometimes thought of the fingers he may have to step on, and in his mind played out many possible scenarios of his eventual rise to power. As we all know, sometimes things don’t go as we would like them to go. This just so happened to be the case for Jose. After graduating college with honors Jose successfully interviewed for a promising new job. Jose’s promising new job lasted for around eight years before he was released from his responsibilities with no explanation. Of course, this came as a great shock to Jose. He was young, possessed a sharp mind, and he was highly ambitious. He was headed straight for the top, and he made sure to let everyone at work know. Incidentally, his talk was backed by actions – Jose performed. So why did they let him go? Better yet, what next? Jose did not come from a wealthy family, and now he was in a financial mess. The new BMW he had recently leased was not going to pay for itself. His upper west side apartment was not going to pay for itself, nor were any of Jose’s other mounting expenses going to pay for themselves. Determined to keep moving forward Jose went searching for work. We had many interviews and he even had some offers. Jose chose not to accept the offers he received because they had offered him what he considered “insulting pay for a person of his ability”. Jose was determined to pick up where he left off before. That didn’t happen. Rent didn’t happen. Car payments didn’t happen. Credit card debt kept growing. Time kept marching forward and Jose was still not working. This was all very disappointing and confusing at the same time. Jose was a big believer in the power of the mind, as he had demonstrated in sports and schooling. He was very smart and he knew what he was able to do, and now this?!? Time kept marching forward and things happened. Throughout the course of the next year Jose’s BMW was repossessed. He also received an eviction notice and had to be out in 30 days. His credit cards were just about maxed out and there was nowhere to go. Now in desperation, Jose thought about the jobs he turned down. He would have been willing to accept them now, and now he did not even have the resources to make it to a job. At that point Jose decided to become willing to accept any job he could find to put food in his stomach and a roof over his head. Just as he had that thought he felt a small shift. A slight feeling of peace came over him. In fact, he was feeling better than he had felt in the past year leading him to where he was at that moment. Jose decided to take a walk and not worry about work for the day. As he was walking he was drawn in a direction he had previously not ever walked, or even drove for that matter. The scenery was unfamiliar, yet beautiful. The breeze felt refreshing, and Jose felt lightness in his step. Just then Jose started noticing things he had not noticed for as long as he could remember. He heard birds singing. He smelled the sweet smell of a bakery. He heard children playing and he saw people smiling. This all felt so good. As Jose continued to walk he noticed a clearing that looked to be an apparent ending to the city where a lush green park greeted him. This park looked amazing. It seemed to be something out a childhood book. There were tall trees swaying in the wind. The grass was soft as velvet. There was an old baseball diamond that appeared to be abandoned for quite some time as it was overgrown. Deciding to walk through the park Jose headed towards the trees in the rear of the park and walked into the shadowy canopy they offered. Here he discovered an old park bench facing a stream. Jose was not even thinking about work, or any other situation that he worried about for the past year. He decided to sit and watch the stream. This has a hypnotizing effect on him as he felt the internal pressures he clung so tightly to releasing and traveling far away from him. What was life anyways? Was it supposed to be about being ambitious and climbing a corporate pyramid? Was it supposed to be a struggle to balance all aspects of work and home life? Was he put on this earth to apply his mind to a job of some sort and black everything else out? At that moment he decided not. It did not matter how bad things looked, Jose was not going to worry, or even try like he had so aggressively done before. He stayed at the park until the sun started hung low in the sky before starting back to his soon to be vacated apartment (although he did not even give that part any thought). Realizing he was hungry Jose gave way to the pleasant smells of the bakery he passed on his way to the park. Coincidentally, once inside he ran into one of the people who offered him work that he turned down. Letting by gones be by gones, Jose said hello and smiled at the woman who at one time sat behind a desk with an opportunity for him. She said hello back and they started small talk. Turned out the firm she was working for was still hiring and if Jose wanted the job she was willing to arrange transportation for him and give him a signing bonus so that he could get caught up with rent. Amazed at how life can work sometimes Jose graciously accepted the position and reflected thought of his life before retiring to sleep that evening. The day he decided to let go of the beliefs he held to tightly to that prevented him from even seeing, was the day things started happening as if by an invisible force beyond his control. It was also the day Jose discovered he could be happy and enjoy life! Paul Bunting founded the Bryn Marr Institute. For additional information or to contact the author please visit http://www.brynmarrinstitute.com. 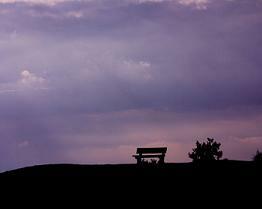 » Where Is Your Mystical Park Bench?